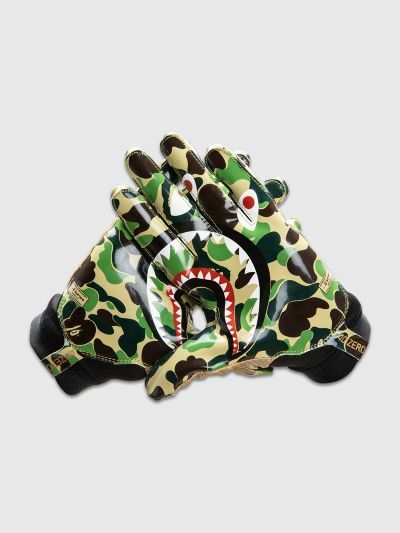 Gloves from adidas by BAPE. Seamless GripTrack palm with BAPE camo print and oversized shark graphics. Lightweight compression fit textile back with four-way stretch and 3D overlay structure highlighted with Adidas Badge of Sport branding and three stripes. 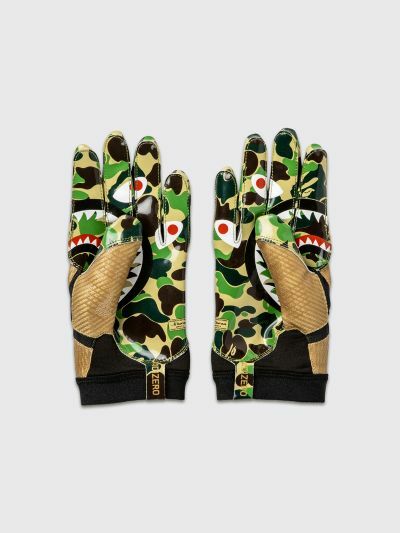 Green, brown and black gloves. 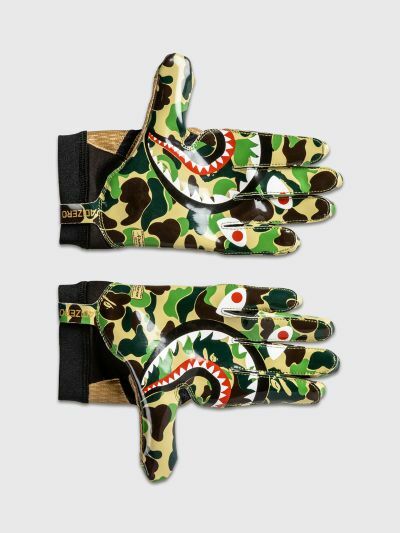 Made from textile.